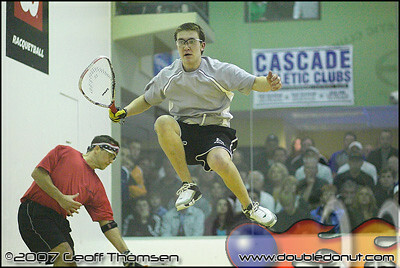 Spent a few hours this weekend catching some action at the 2007 USA Racquetball NW Regional Championships. 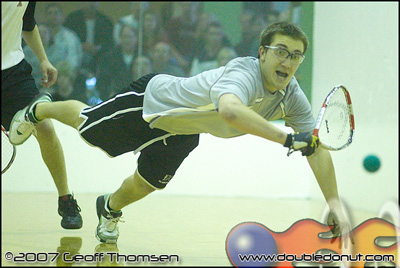 Local Pro Racquetball up-and-comer Charlie Pratt was onsite to delight the crowds with some fast-paced action. The second photo below is slated to be an 8′ x 8′ wall art at Sunset Athletic Club when its racquetball stadium court expansion opens February 25th, 2008. You are currently browsing the flatchicken.com blog archives for April, 2007.